Staircases take up a significant footprint in most building designs, but their function is inescapable. Glass railings let you meet the basic function of moving from one floor to another while also offering opportunities for stunning visual effects. Glass railings create a comfortable flow between floors, providing separation and safety without blocking the light or the view. Top Shelf Closets & Glass specializes in cutting and installing custom glass products. We can help you build an interior glass railing solution that is uniquely tailored to the look and layout of your home. The sleek look of a glass railing system can be matched to any style or aesthetic, from bright modern luxury to cool industrial minimalism. Top Shelf offers custom glass finishes that can help you achieve whatever look you desire. 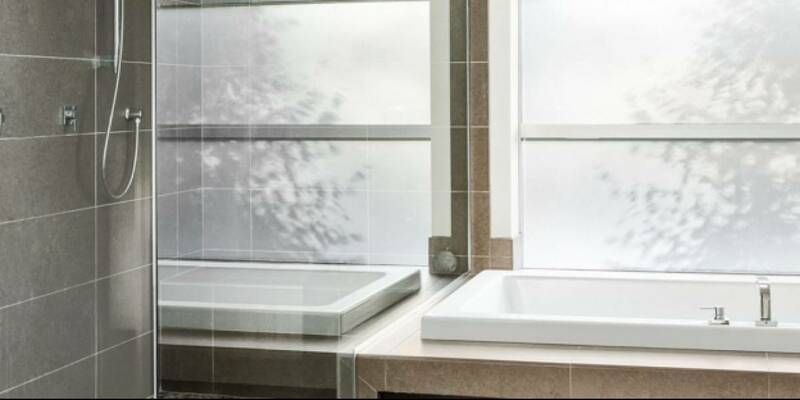 While the “invisible” look of clear glass tends to be the most popular, textured or “frosted” glass finishes are a great way to get extra privacy or add a touch of personality. If you’re unsure of how to execute a specific look or effect in the space you’re working with – talk to one of our skilled design consultants. We offer free design services to our clients to help you through any stage of the build. Whether your guard rail design calls for railings or you’re hoping to go frameless for the clearest possible view, Top Shelf can make a custom glass railing to match any concept you have in mind. Stand-off hardware allows you to off-set the glass panels from the stairs or walls, so you can create the beautiful optical illusion of floating glass. The glass guard rail is fitted into a base “shoe”, which provides sturdy vertical support for the glass panels. Base shoe hardware comes in a variety of finishes. Our skilled professionals will come take all necessary measurements, manufacture and tailor the pieces at our in-house glass facility, and then return to complete the final installation. Hand rails or railing caps can be added to provide increased safety without spoiling the clean look of the glass design. Railing caps along the top of the glass will subtly conceal edges while doubling as a hand rail. Low-profile brackets can be used to install hand rails directly onto the side of the glass. Top Shelf is able to custom tailor each product that we install, including adding specialty glass finishes, at our 12,000 square foot manufacturing space and warehouse in Edmonton. All of our custom glass products are cut and installed to the highest standards using high quality tempered safety glass. Stop by our Edmonton showroom to see products up close and consult directly with our knowledgeable staff. Top Shelf Closets & Glass is centrally-located and easy to find. Check out our huge showroom display for inspiration or contact us to book an appointment with one of our design consultants and explore different possibilities for your design. Come see us at 9719 63 Ave in Edmonton (on the corner of 97 Street and Argyll Road). Book a design consult so we can talk about your project and look at options that will modernize and bring light into your home! Let’s get started.